I'm Bigsby.. a really cute little character from Karen's Doodles .. aren't I the cutest? 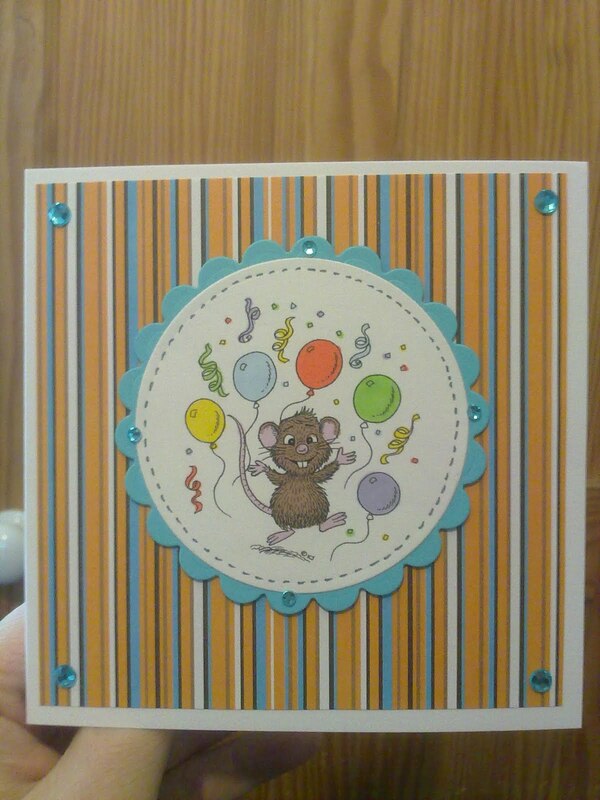 What a sweet little happy card! You have done a great job coloring Bigsby and great choice of papers and colors. Good luck and thanks for joining in on the fun at Karen's Doodles challenge blog. fab card, great image choice and lovely stitch work. Thanks for joining us at karens doodles. brilliant card and love the colours that blue is lovely. Very cute! Thank you for sharing your creation with us in our "You Got Ink" Challenge at Stamping With The Dragon. This is so cute! I love your stitching around the circle, very cute! Great colouring!! THANKS for joining us at Karen's Doodles this week!!! 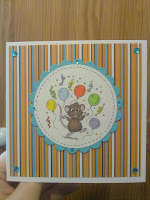 Fab card - super cute image and great take on the challenge. Thanks for playing along with my Spots & Stripes challenge at Allsorts this week. Too cute! Fab stitching. Thx for joining us at Karen's Doodles challenge. Good luck! So cute! Thanks for joining us at Stamp Something this week! Behold! My pegs, they come from Cruddington!